The Ramada Columbus North/Polaris Hotel is conveniently located on the north side of Columbus off of I-270 at the Cleveland Exit (27). The hotel was renovated in early 2014.The carpeting and flooring has been replaced throughout the hotel, as well as new pillow top mattresses, microwaves and refrigerators. A complimentary hot breakfast is served daily between 6:00am-10:00am. Free wireless internet access is available in all public areas and sleeping rooms. Seasonal outdoor pool and a fitness room are also available. 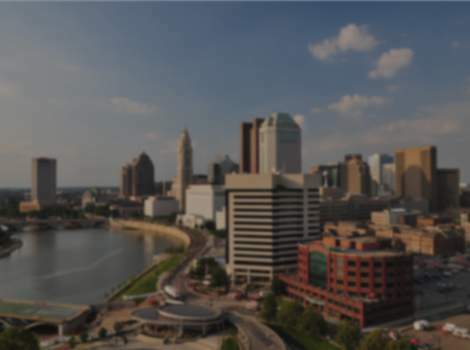 We're located just 14 miles from downtown Columbus and the Greater Columbus Convention Center, Short North Arts District and the Arena District. We are also conveniently located near Easton Town Center, Polaris Fashion Place, Franklin Park Conservatory and the Columbus Zoo and Aquarium. Dog guests are able to stay with a $20 per pet per night room rate.